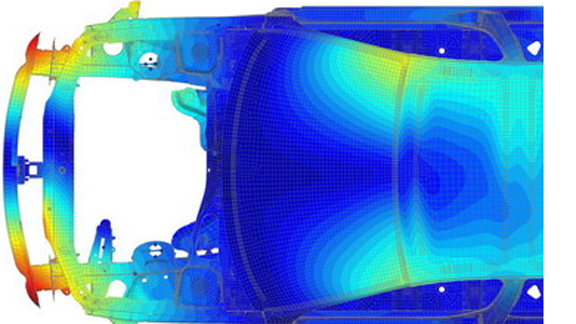 Actran for Trimmed Body is a powerful tool for modeling and analyzing complex vibro-acoustic systems such as trim components. Such components are usually made of materials with high damping and strong acoustic absorption characteristics; as such they have a significant influence on the overall vibro-acoustic behavior of the structure. 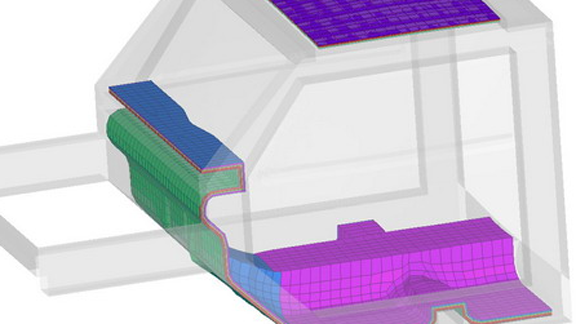 Actran for Trimmed Body is able to merge a set of Actran models of individual trim components with a Nastran body-in-white model in order to create a fully trimmed body vibro-acoustic model. An Actran model may be set in its real-life working environment by connecting it to an existing Nastran model (e.g. a detailed Actran model of a layered windshield may be connected to a Nastran model of the vehicle body). A Nastran model may be enriched by including a reduced Actran model of a specific component. 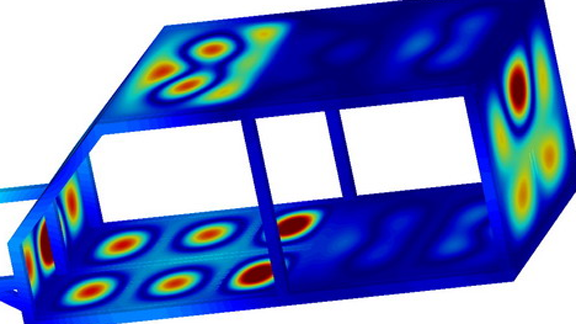 The Actran component is defined as a DMIG data block in the Nastran deck.